Green Velvet, Diplo, Major Lazer, Zinc Ft Ms Dynamite, Jack Beats and more. Relive The Weekender with a journey through Bugged Out’s musical landscape at this year’s festival at Butlins, Bognor Regis – featuring interviews with DJs Diplo, Kevin Saunderson, Ms Dynamite, Jack Beats, 2 Many DJ’s, The 2 Bears, Bok Bok, Simian Mobile Disco, James Holden, Tayo & Frank Tope. 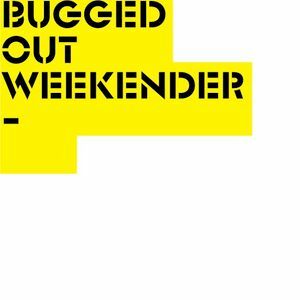 The Bugged Out Weekender will be back at Butlins, Bognor Regis in 2013. Watch this space. Amazing. Wish I could have gone. Bloody exams. Oh well. At least I have Jacque Lu Cont Bugged Out At Sankeys this weekend!! !